Hello Fellow Baby Boomer Tennis Enthusiasts - Now that you’ve turned 50…how’d you like to enjoy & excel in tennis…not just for a season, but a lifetime? And how many of you have noticed a few natural changes in your body, energy & mind, since turning 50, & would like to turn back the hands of time for our Body/Mind/Sport age? Plus, learn Superstars’ simple proven systems & secrets from Baby Boomer Legends, Lessons & Links to help you “WIN” in Tennis & the Game of Life! A great read for Baby Boomers or not. There's enough information on how to become successful in life and with your tennis...all you have to do is follow it & you will be successful!! No double faults allowed. 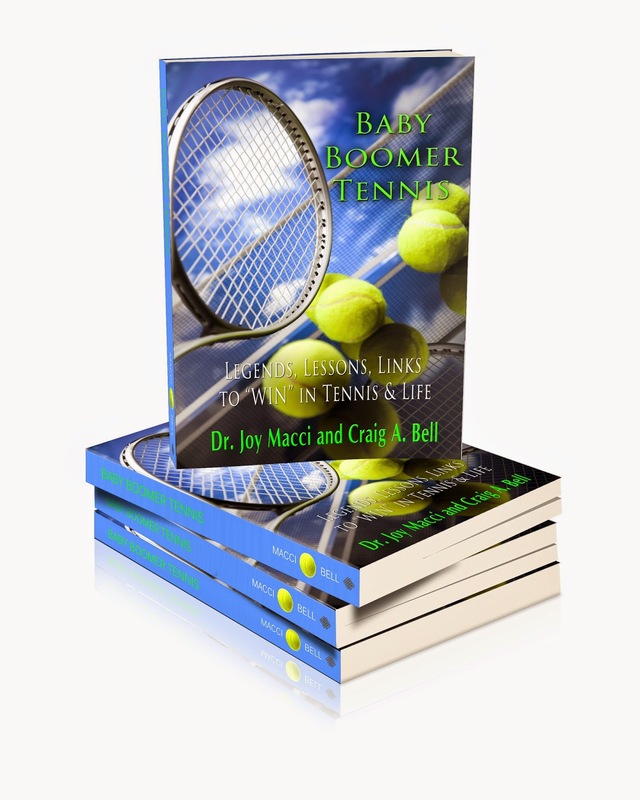 Thank you Dr. Joy and Mr. Bell for highlighting the importance of Baby Boomers remaining active & well & identifying tennis as a catalyst for fitness, fun & friendship for Boomers everywhere.